Pick one of the 27 routes of the "Blue Cruise" Croatia. 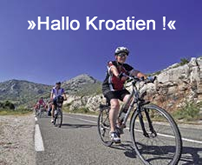 In a bathing cruise just chilling, explore the country with a sightseeing trip or Active conquer with walking and cycling the Croatian islands. For every taste the "Blue Cruise" the right Croatia offers cruise. Use the filters to port or type of cruise.